What is Precis Writing in English? The word precis is derived from French that means summary and precis writing means that art of summarizing. 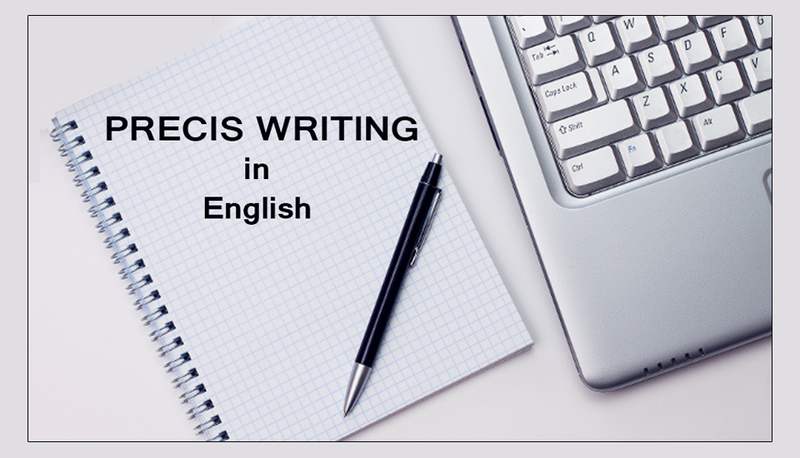 Precis writing is one of the most useful skills you can acquire for your work both as a student and as a professional. Precis writing involves summarizing a document to exact the maximum amount of information, then conveying this information to a reader in minimum words. In the lesson you will learn what is precis writing in English. Definition: A precis is a clear, compact logical summary of a passage. It preserved only the essential or important ideas of the original. A good precis shows the writing skills of a person. It must have the following qualities. Clarity means getting your message across so that the receiver can understand what the writer is typing to convey. It is the basic and essential need of a precis. The ideas should be clear and understandable. There should not be any ambiguity in your writing. The writer can achieve clarity by using simple language and simple structure. If your precis is not understandable to the reader it will lose its importance and meaning for the reader. Objectively means the ability to present or view facts uncolored by feelings, opinions and personal bias. While making a precis, the write should adopt an objective approach. He should not give and add his personal opinion and ideas in a precis. A precis should be purely a summary of the original text without any addition. Coherence means the logical and clear interconnection of ideas in a written piece of work. A good precis should be coherent. The ideas which are presented in a precis must have a logical connection and they all should be interrelated. In short we may say that the ides should be well knitted so that the writer may not be confused and lose his interest. Another striking feature of a good precis is completeness. A precis should be complete in all respect. Completeness means that the writer should include all the important facts in a precis. To make it short the writer should not omit the important ideas. This mistake on the part of the writer will spoil the importance and meaning of the precis. How to Write a Precis in English?